The Yunnan-Guizhou Plateau is one of the most mysterious regions in China, with countless folk stories, regional legends and a colorful history against the backdrop of a dramatic terrain. 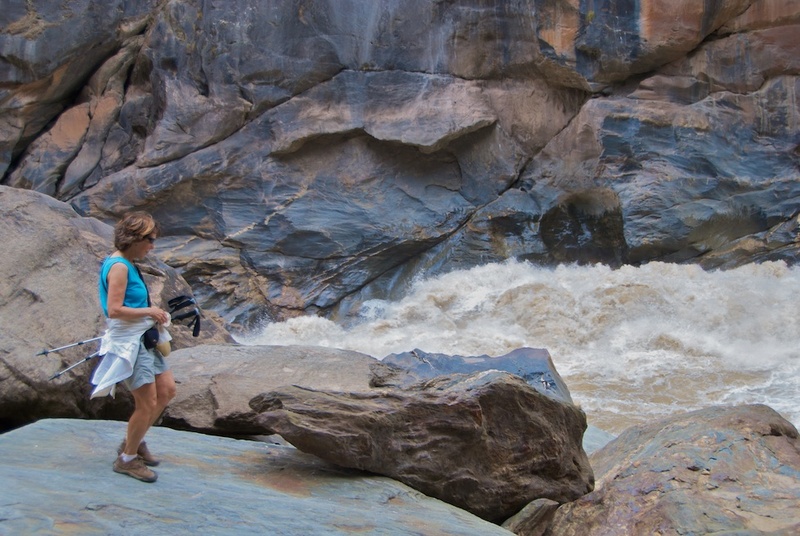 The mountains are sheer and dense but the raging rivers have carved deep canyons and created magnificent landscapes. In times past, foot travel was extremely difficult in this breathtakingly scenic region. Before highways, railroads, and modern transportation, many diverse ethnic groups that live here seldom interacted with each other, despite their close proximity as the crow flies. As a result, while these groups have evolved parallel to each other, each is unique in culture, language, cuisine and legend. As the name suggests, the Plateau consists of two provinces: Yunnan and Guizhou. Nowadays while Guizhou remains under-explored due to its unfriendly weather and rough travel, Yunnan is considered the most ideal place in China to live. The dramatic landscape prevents modern civilization from encroaching too far. There is still tourism, yet there are no big cities or pollution in this region of Western China that borders the Tibetan Plateau. The rhythm is slow and the natural landscape and wilderness here are pristine. The climate is generally mild and sunny, the air fresh, and the environment serene and versatile. It has won a nickname, the Lost Horizon, and many who have visited would volunteer to be lost here forever. Yunnan also hosts the most diverse culture in China – out of 56 named ethnic groups in China, more than 20 reside here. If you randomly choose a day to visit Yunnan, some group will likely be celebrating with traditional dance or a festival. 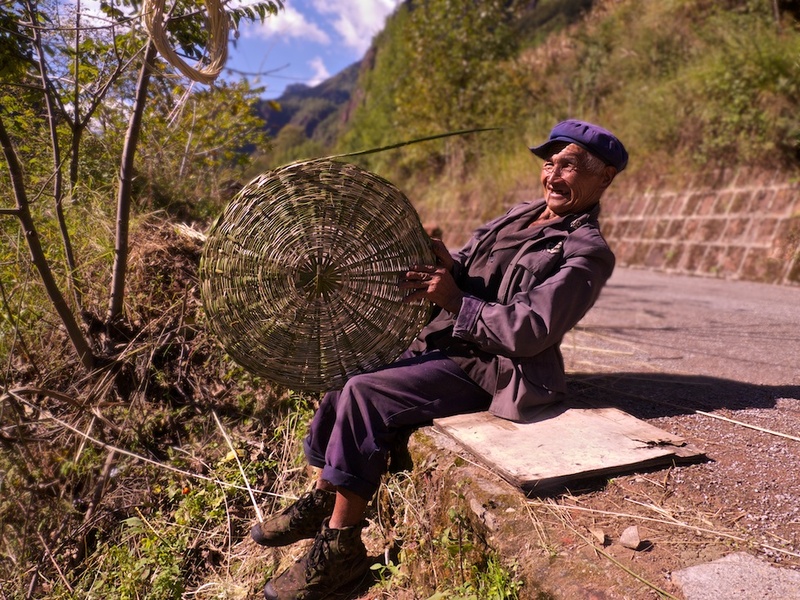 On this journey we will see and experience some of Yunnan’s most gorgeous wild lands – from looming spires to soft emerald meadows, from raging waters to serene lakes, and from sheer cliffs to quiet farm fields. We will exchange with local cultures, participate in their events, observe their daily routines, enjoy conversations and learn from their ways of life. 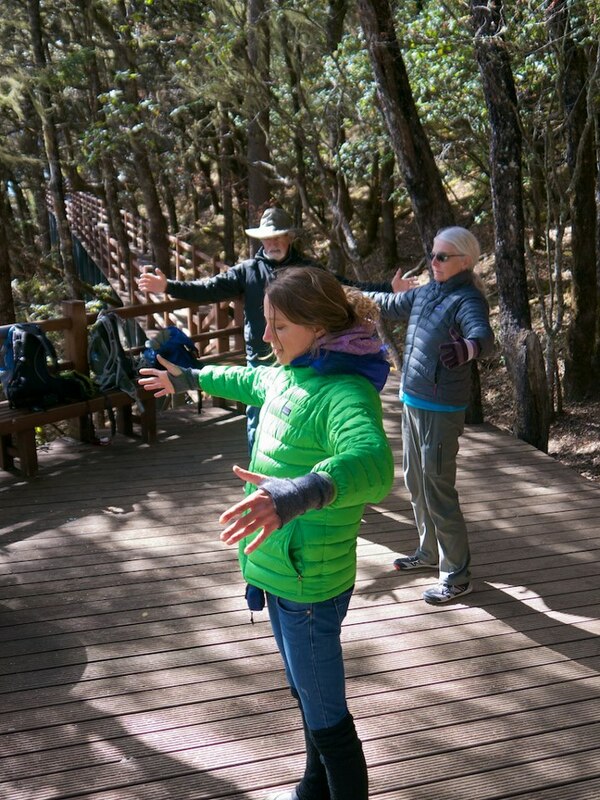 While we listen and respond to the natural world and people of Yunnan, we will learn, practice the delicious, nourishing and transformative practices of qigong, an ancient Chinese form of breath, meditation and movement that originates from Nature. We shall transcend ordinary awareness and linear time. We come to be opened and to honor, not to impose. Though we leave no physical trace, we will forever be connected on heart and spiritual levels to the lands and people of the Yunnan province. Qigong practice is a powerful way to cultivate our own health and vitality, and develop our spirit and soul. It also offers tools to receive Qi – both energy and information – from our environment. China is home to many healing and mystical arts, such as Chinese Medicine, Qigong, Daoism, all of which have been born from its Lands and channeled through its people. Qigong offers a profound way to tap into these teachings from its very source. 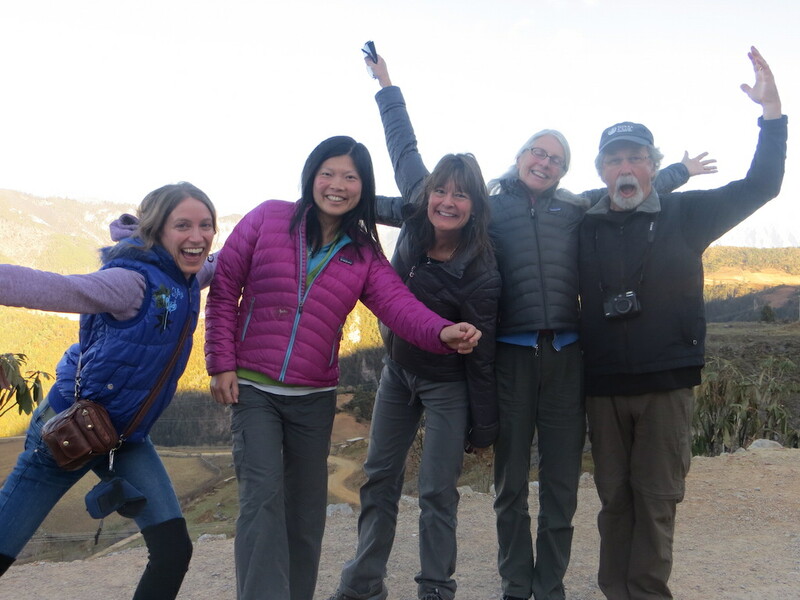 In this Qigong & Wilderness trekking trip we cover a strong foundation of qigong, including the preliminary exercises for Zhong Yuan Qigong (ZYQ) Levels 1 and 2 and at least 2 of the main sitting and standing forms of ZY Qigong meditation. In addition, you will learn a comprehensive daily qigong “warm-up” and a wonderful set of exercises to cleanse the 12 meridians called the Eight Brocades. While all the exercises are simple, they are powerful, and are tools you can use for a lifetime. This foundation of qigong will enable you to more fully receive, experience and explore these ancient, yet ever-evolving magnificent terrains, its people and culture. ※Daytime Practice (~1 hour) — 4 ~ 5 sessions between our various wilderness or cultural activities. Classroom location: in the mountains, trees, or right next to a local farm, stream, or an alpine lake. Qigong warm-up, breakfast, orientation circle, and explore the surroundings of Lijiang/Shuhe area. Participants will fly to Lijiang airport (easily accessed via major international airports in China such as Beijing, Kunming, etc). We will help arrange airport shuttle to transport people to the nearby Shuhe old town (6 kilometers from Lijiang city). 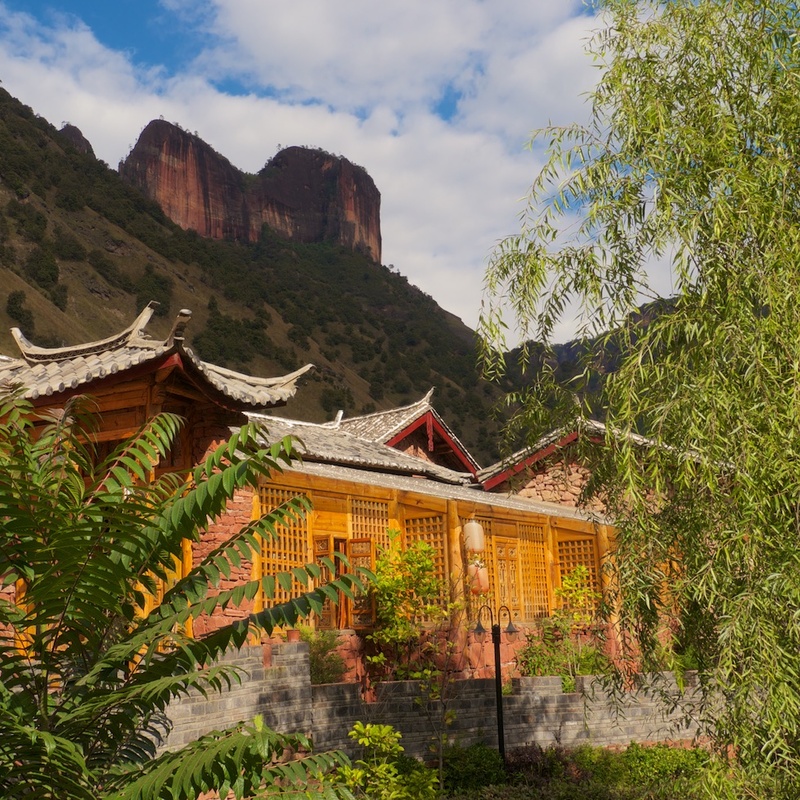 We choose to stay in Shuhe because it is quiet and its layout and architecture remain authentic. As shown in [ITINERARY AT-A-GLANCE], we use Shuhe as our hub and will explore this lovely town and surrounding areas. 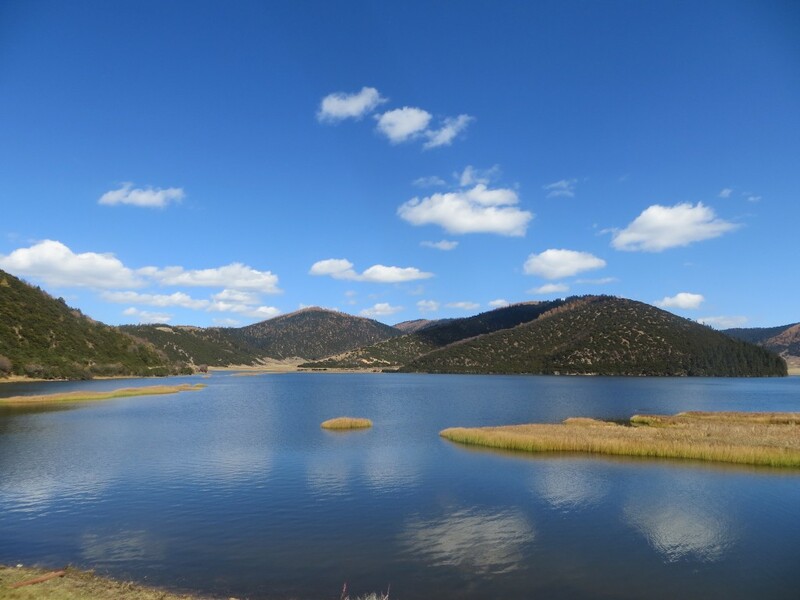 Adding to the wonder and diversity of Lijiang and Shuhe, there is opportunity to hike, visit authentic markets for special purchases, be transported by horse and buggy, as well as visit the nearby village of Baisha (see below). 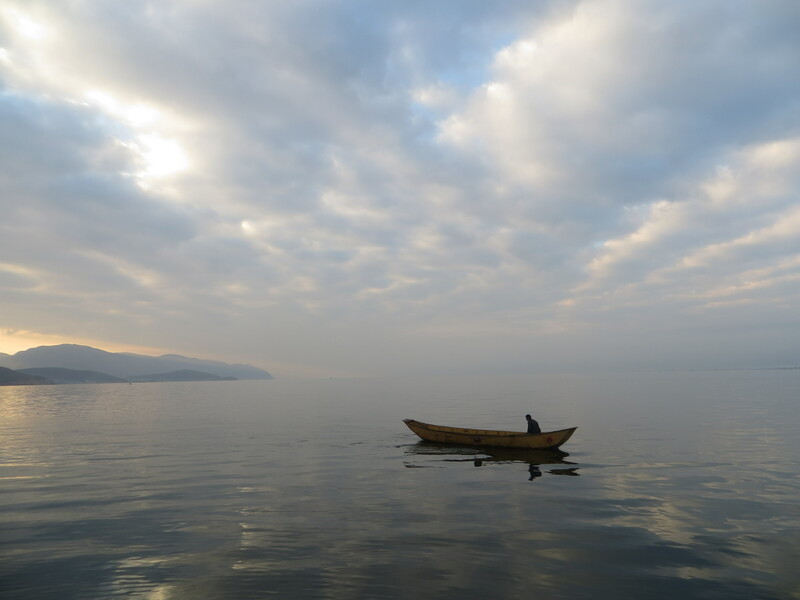 From Nov 9 to 13, we will explore Lugu Lake area. Here we will have our first half of the Qigong and Wilderness Classroom. We will interweave qigong learning and practice (including its origin, philosophy, movement etc) with wilderness and cultural activities. Treks in the exquisite scenery of the hillsides and mountains. Lu Gu Lake is a 5-6 hour drive Northeast of Lijiang. Located at the mountainous region bordering Yunnan and Sichuan provinces, the lake is a dreamlike alpine body of water with an average depth of 45 meters. At an elevation of 8,809 feet, it is the highest lake of Yunnan province. The lake is surrounded by mountains and has a few small islands and peninsulas. Many ethnic groups reside along the shore, such as Norzu, Yi, Pumi, Tibetan tribes, and the largest population of the ancient matriarchal indigenous lineage, the Mosuo people, reside here. We will have opportunities to “float the lake,” take boating excursions in dugout canoes to traverse and explore along the sparklingly clear and smooth lake, visit one or more of its five islands. This day will be a rest day between the two Qigong and Wilderness Classroom sessions. We’ll also lead optional day excursions, such as visiting a near-by Tibetan monastery, the traditional market, or the tea horse trail museum. From Nov 15 to 18, we will engage our second half of the Qigong and Wilderness Classroom amidst the stunning scenery of the red cliffs of Liming. Immersing in the daily rhythms of the land and the people of this region, we will share with them in various ways such as: engaging local elementary students in English language conversation, joining local events, learning how to make baskets from hay straws, admiring the special musical instruments of its people and surveying the unique cultural ways of the Lisu, and perhaps even sipping homemade rice wine as we sit surrounded by the red cliffs of Liming with Lisu elders. Price includes the following: meals, lodging (based on 2 people shared a hotel room), ground transportation, admission to parks, permits, and bilingual guides, qigong tuition. The price does not include airfare, checked baggage fees, airport shuttle between Lijiang airport and Shuhe, visa fee, travel insurance, personal gear, immunization, personal snacks, drinks, and gratuity. The price is based on a minimum group size of 8 participants. A $500.00 deposit is required to reserve your spot. 50% of your payment is due on July 1st, 2016. Full payment is due August 8th, 2016. You can pay the $500.00 deposit either via paypal or by writing us a check (please contact us for details) to secure your spot. We’ll follow up with you for the remaining payment. with qigong. Would this prevent her participation? *what level of hiking …. easy, moderate or strong? do level but would be concerned about anything other. I look forward to you reply. Thank you.